An ever increasing number of manufacturers with high brand recognition are offering solutions for decentralized power supply. One of them is Daimler AG. The automobile group has even recently established a separate subsidiary for the development and sales of its stationary energy storage units, Mercedes-Benz Energy GmbH. 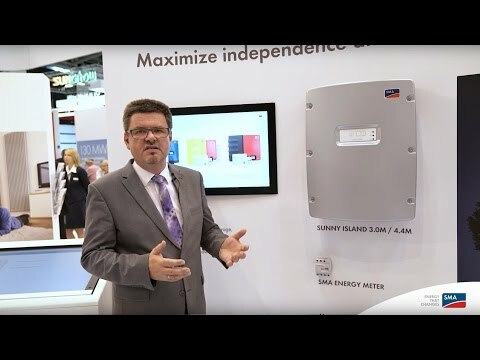 The company’s “new star”, a battery storage system which can be seamlessly integrated into the SMA Flexible Storage System, attracted much interest at Intersolar Europe. SMA storage expert Volker Wachenfeld explains this cost-efficient and highly flexible storage combination live at the booth. Find more information about the Mercedes-Benz energy storage and the SMA solution on our website.